Recent Hotel Transactions, By Hotel Source, Inc. Setting the standard for successfully maximizing hotel values. We have proven ourselves adept at selling hotels under a wide range of circumstances, including accelerated time-frame transactions, income-producing sales, repositioning opportunities and distressed hotel situations. In the process we have developed a reputation for absolute discretion, diligent follow-through, in-depth analysis and problem solving. Our enthusiasm for looking past the obvious creates successful hotel transactions. 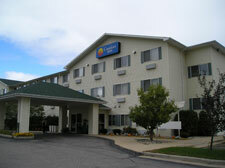 Garden Inn – Kokomo IN, benefits from its central location approximately 45 miles east of Purdue University and 50 miles north of Indianapolis. 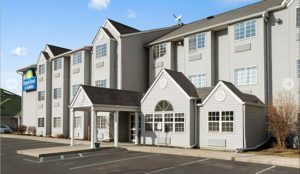 The Days Inn & Suites is a 3-story limited-service property, located 60 miles from Indianapolis, which enjoys excellent interstate visibility and is within close proximity to significant demand generators from automotive and manufacturing facilities. 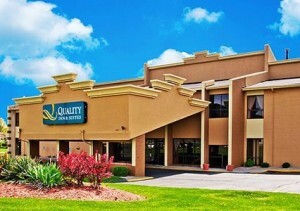 The former Quality Inn & Suites is a 3-story full-service property, located 50 miles north of Indianapolis, that enjoys excellent highway visibility and is within close proximity of significant demand generators from auto industry manufacturing plants. 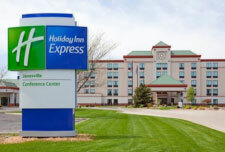 The five-story, 142 guestroom Holiday Inn Express Hotel & Conference Center – Janesville, WI benefits from its central location 40 miles from Madison, 75 miles from Milwaukee and 100 miles from Chicago. Through an aggressive national sales and marketing process, prospective buyers who had an interest for acquiring hotels in the suburban Chicago area were targeted. The five-story, 154 guestroom Hotel Mead & Conference Center – Wisconsin Rapids, WI, benefits from its downtown location in central Wisconsin, 18 miles from Stevens Point, 48 miles from Wausau, 55 miles from Wisconsin Dells and 105 miles from Madison. Based on poor performance and necessary capital improvements, finding a buyer who could undertake a significant turn-around effort was difficult. 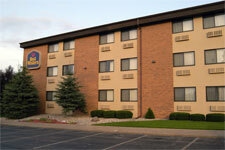 Microtel Inn & Suites was built in 1999 in Green Bay, Wisconsin. 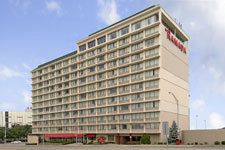 The hotel benefitted from its close proximity to Lambeau Field, home of the NFL’s Green Bay Packers. 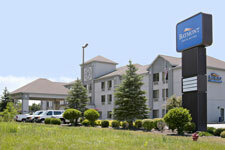 The select-service Best Western was originally built in 1988 with a 30-room addition in 1993. 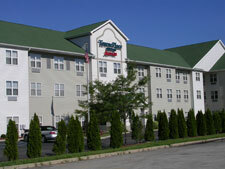 The 90-room, 3-story brick hotel is situated in a highly visible location along US Highway 10 in Central Wisconsin. The Stratford Inn was a hotel for sale that needed the right buyer with a unique skill set. Hotel Source rose to the challenge to find a perfect match. Using market expertise to uncover value for both hotel owners and hotel purchasers, Hotel Source completed seven successful hotel sales in the Wisconsin Dells over the past several years. After facilitating a successful hotel management contract to help close the sale, Hotel Source maximized the hotel seller’s return on this branded property in a growing market. Through a targeted hands-on search, Hotel Source located qualified hotel buyers and helped overcome their concerns about a forthcoming Holiday Inn Express PIP in order to facilitate a favorable outcome for the hotel seller.